Koh Phangan is a real yoga heaven but it’s strange that we have only one Thai yoga teacher here, Sunny. I’d love to see more Thai people getting involved with yoga and teaching it as well. Of course, there are Thai yoga teachers eg. in Bangkok, Pattaya, Rayong and other bigger cities but why not here even though we have an abundance of yoga schools? Anyway, I had heard a lot of good things about Sunny Yoga so decided to visit it a while ago. Here is my take on Sunny Yoga. Because of my inquisitive nature, I enquired Sunny about her yoga history. She told me that she started it in Canada after falling in love with the physical effects hot yoga gave here (I guess this is how most of us have started our yoga career, including me). She decided straight away that she wanted to become a yoga teacher. Sunny did her yoga teacher training in Sivananda yoga but describes her teaching style as Vinyasa Hatha. 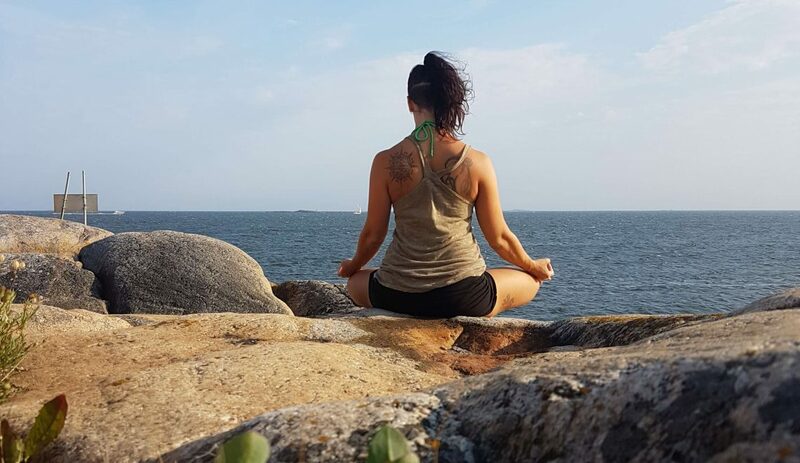 Because Sivananda yoga consists of only 12 asanas this taught her the importance of having a solid foundation before moving further into more challenging poses. The aforementioned is one of Sunny’s teaching philosophies and it can be applied to our lives in general: You need to have a strong foundation in order to reach those demanding goals in your life. She also wants to make people believe in themselves, to get us thinking that we can do more than our mind is telling us. Lastly, she teaches people to use asana as a tool to help them overcome obstacles: one can simply breathe, stay calm and be positive during a hardship, just like one would do when facing a challenging pose. The new shala is built on a hill in Sri Thanu and the location is just beautiful, looking down to the jungle. This shala is very new, it was only erected in December 2017. 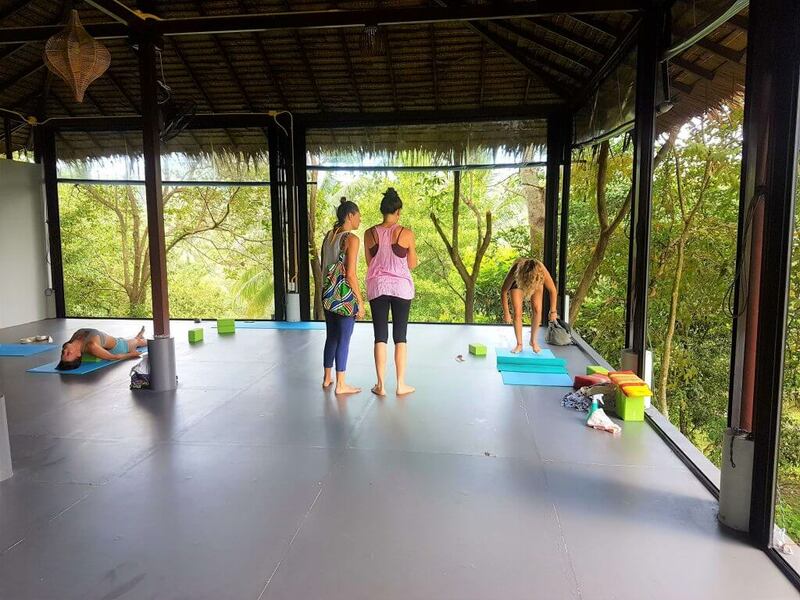 While Sunny’s morning classes are the most popular, there are also Kundalini and Yin Yoga classes that other instructors teach. More information on the regular classes, special workshops and the popular teacher trainings can be found on their web page. I enjoyed Sunny’s yoga class and warm teaching style though the first part felt a bit too easygoing to my style. I liked it that the class progressed and then more alternatives were given to yogis who have been practicing longer. 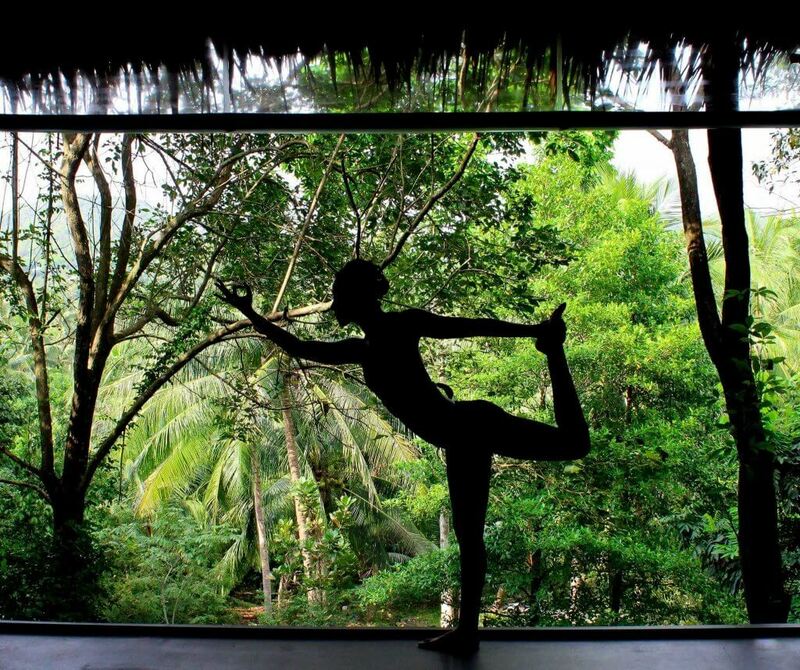 Where are the Thai yogis and yoga teachers? I have studied cultural anthropology so I’m always interested in different cultures and why some peoples do certain things and others don’t. I asked Sunny if she has any Thai students in the class and to my excitement, she replied that there are a few who do it for health reasons. I earlier enquired my Ashtanga yoga teacher in Pattaya about these same matters. If you’d like to read what he said, click here. Apparently, one of Sunny’s Thai yogis has become a yoga teacher under Sunny’s guidance and she is already teaching a little bit at Sunny Yoga. Furthermore, there is another one on the way. This is great! I’d love to see more Thai teachers involved here. Sunny wants to remind all of us that it’s ok to do yoga as physical exercise and enjoy the benefits of that. After all, a healthy body often leads to a healthier mind. But, there are so many different yoga styles so perhaps it is just a matter of trying out which one would suit you the best (the author agrees with this statement). 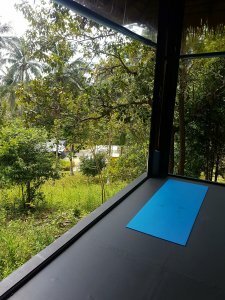 In addition, if you are wondering what is the secrecy to being able to move around from one shala to another, and doing your practice in different places, I can tell you that it’s a good yoga mat! Read this article about the best travel yoga mats to find out more. Thanks for sharing a great story! We have to start workout routinely in the morning and evening and control our consuming habits too. Our mind is like a pendulum that swings from the past to the future, from remorse and anger to anxiety and fear, from happiness to sorrow. Yoga asanas allow us to balance our mind and body and bring about equanimity. Yoga asanas are not merely various kind of physical workout or exercise however far more. Yoga has actually to be made with awareness, specifically on the breath. 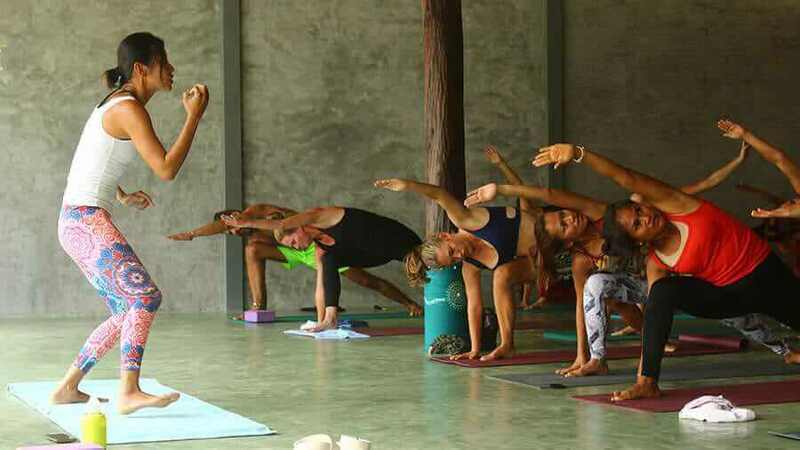 When we raise our hands for yoga, we initially end up being aware of our arms and after that slowly raise them while integrating it with the breath. Yoga is as elegant as a dance where we slide from one posture into another. The secret is to stretch a little more in each asana than what we are comfortable with and after that to relax and release.